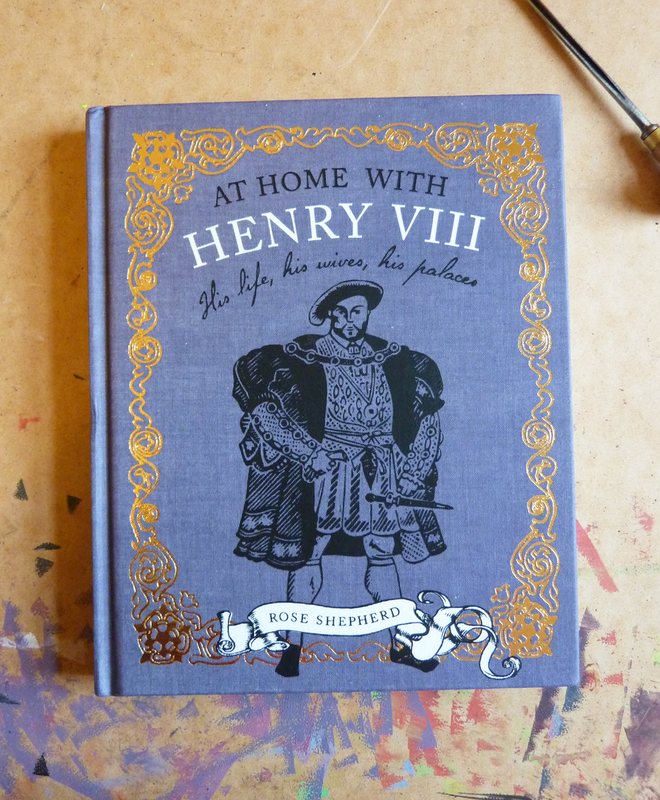 This post has been a long time coming; months ago, back in the spring of last year, I illustrated Rose Shepherd's At Home With Henry VIII for CICO Books. The publishing date got pushed a couple of times, but it finally came out towards the end of last year. My copy arrived this morning, and I was more than a little excited as I tore into the wrapping. I'm really looking forward to reading it. 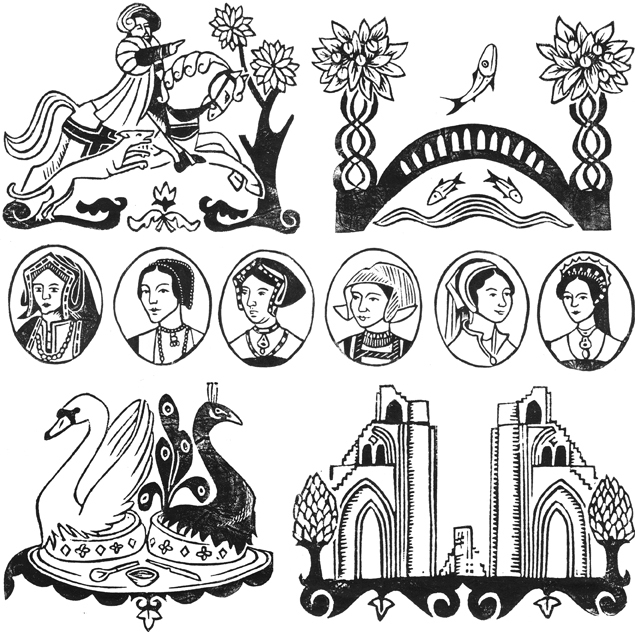 As well as the obligatory wives portraits, I also created Tudor-style, themed chapter headings, a Tudor Rose border, which is embossed in gold on the cover and printed around the internal pages, and a big fat Henry for the cover. Strangely, all the images I've found in online book sellers show either the initial holding imagery or my pencil roughs on the cover, rather than the actual finished book. But, rest-assured, if you buy the book it will look like the photo above! My exhibition at Dean Heritage Centre is still running for another two weeks so, if you haven't already, do try to get down there and check it out! After that the six prints will be heading to Dukki in the Broadmarsh Centre, Nottingham, where they'll feature as part of Dukki's Nottingham Showcase of local artists. First up, from the 15th February, will be Ian Jones, illustrator and digital artist and one half of the Dukki team. Find out more here.